See this lady? You would not want to lock horns with her. You certainly wouldn't give her your baby. But in the late nineteenth century, that's exactly what a lot of women did. Why? Because in an era when having a child out of wedlock was so severely frowned upon, Amelia Dyer took advantage of this. 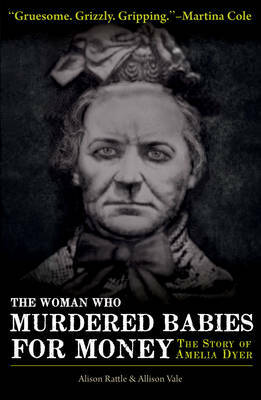 She advertised in the press offering to 'adopt' unwanted babies, charged the poor grief-stricken mums GBP 10 for the privilege, took the wee babes off their hands - and then drowned them in the River Thames. As well as relating the story, the authors explore the circumstances that enabled such crimes to be committed. Unregulated 'adoption' was a widely acknowledged problem. The Child Protection Act did not yet exist.